Criterions of beauty. 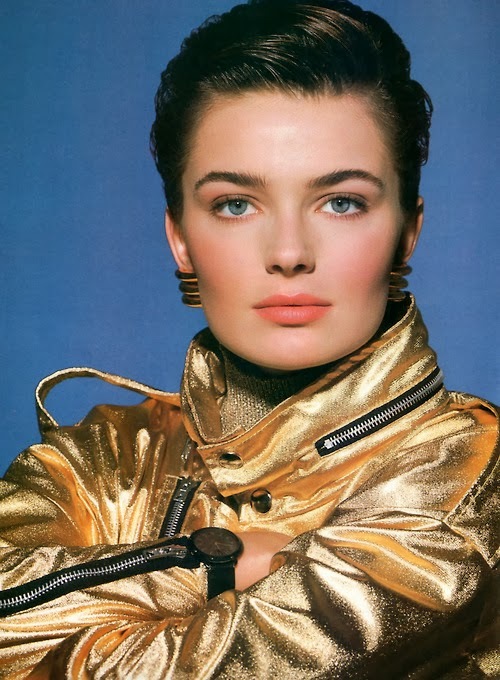 Paulina Porizkova as reference. This site is my collection of, in my opinion, women faces near of perfection. There's specific features in a face that catch my eyes. 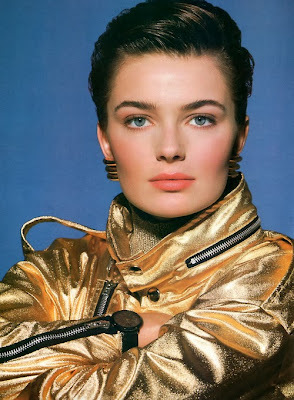 My first reference, Paulina Porizkova, got a 10/10 on those criterions. First of all, a racy face. Let's be candid, a chin too long or a receding chin ruin a profile. A racy face gave personnality to a face, it gives elegance. Then a symetric face is essential. I'm especially attract by high cheek bones. It's so feminine, so coquettish. Of course, a healthy skin is important. To be fresh-faced for a woman makes her radiate. Smooth teeth is a huge criteria. The smile of a woman is one of her best asset. A radiant skin and smooth teeth give an impression of an iron constitution. 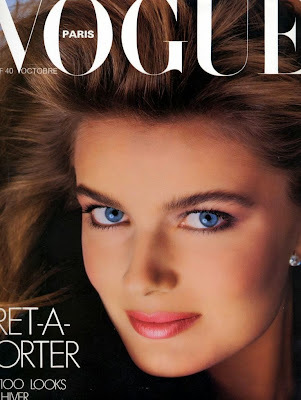 Obviously, a narrow nose, pulpy lips, big expressive eyes and long lashes are synonymic of beauty. If you look at Paulina Porizkova, it's probably impossible to have a lower jaw more definite. Her arch of the eyebrows is immaculate. She had an absolutely incredible perfect light skin, her nose deserve to be request as example for nose jobs, she's perfectly symetrical, she has prominent cheek bones that gives her a charming smile, as you can see on the second shot. In addition to that, she has amazingly long and thick brown hair and a body to damn for. For me she's a 9.9/10. There's nothing bad to say about her.